Laser cutters are great! These devices can easily cut flat materials including wood, cardboard, and acrylic for rapid prototyping and manufacturing. They can even inscribe or engrave those and more such as wood, metal, stone, and others. 1. 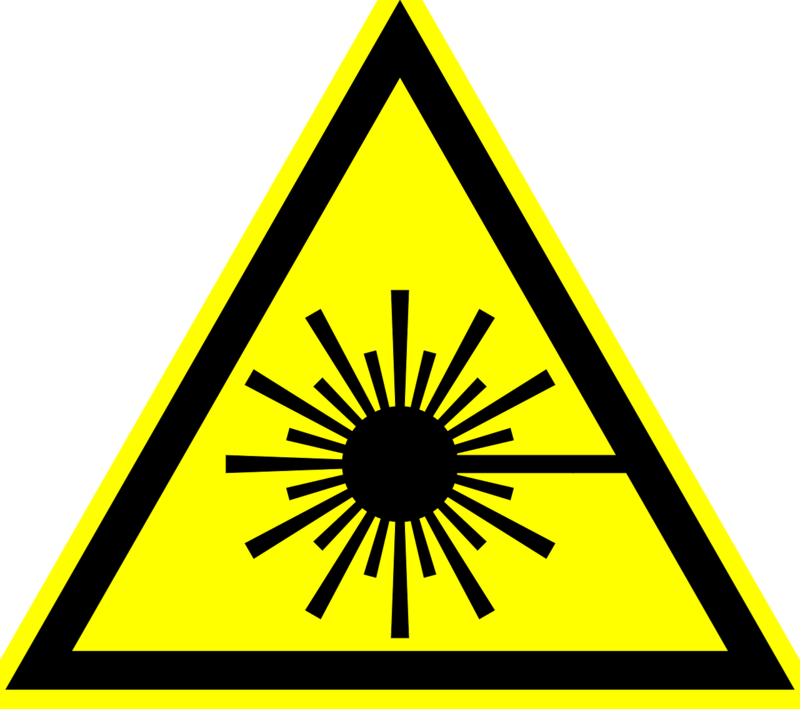 Know Your Laser – for the peace of mind of your users, laser cutters are generally classified as ANSI Class 1 lasers, meaning that they are generally not hazardous to the eyes nor skin. However, any and all maintenance should be performed by a professional since many models contain more powerful lasers. 2. Plan for Filtration and Exhaust – This is an absolute must in planning since many materials that might be cut may release harmful gases and particulate. Most late models have filtration and exhaust blowers built in for fumes caused by the material being cut. However, you need to have a plan for your exhaust, which in most models needs to be ducted through 6” pipe to somewhere. A quick side story – I once saw a large laser cutter ducted through a 6” hole that was cut into the space that a window air conditioner accordion side panel would take, meaning that when both the laser cutter and air conditioner were both turned on, the fumes were being pumped directly back into the room – no bueno! So, acquaint yourself with the manufacturer’s spec for how often to replace any filters and for proper ducting. If you’re in a school, ducting into an area in which children or others may be working or playing outside is not going to be up to code. 3. 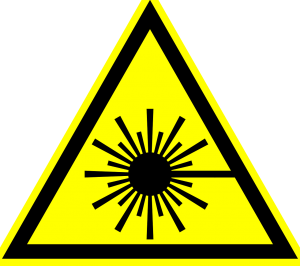 Beware of Fire Hazards – The high intensity beam of laser light produces high temperatures, and certain materials may be caused to unintentionally ignite under certain conditions. For fire safety, keep the area in and around the laser cutter free of debris and flammable materials and vacuum regularly. Also keep a properly maintained and inspected fire extinguisher in the area. Finally, as with any specialty equipment in any area of the school, make sure the staff and students are properly trained in the use of the equipment. Send a teacher to a workshop or training program, and develop safety rules and a safety test that students need to pass in order to be able to use the machine. Make sure everyone understands the rules and procedures and you’ll then have a great and powerful tool on hand to make ingenious designs!